At the time of an appeal for volunteers at the outbreak of the Second Boer War, which started in 1899, over 400 (out of 1100) men volunteered for foreign service, and a further 500 were ready for garrison duty. The Battalion ultimately sent 8 officers, and 200 NCOs and private soldiers for active service with either the City Imperial Volunteers (CIV), the Royal Irish Rifles (RIR), the Imperial Yeomanry or with the Middlesex Regiment. During the war, one officer, Captain FG Concannon, was awarded the Distinguished Service Order (DSO) and twice mentioned in despatches. Captain CG Henty was also mentioned in despatches and another member gained seven bars to his South Africa Medal. In recognition of their service, the London Irish was granted their first Battle Honour of “South Africa, 1900-1902”. In November 1906, Col Sir Roberts relinquished command of the London Irish, which he had held since 1896 and was succeeded by Lt-Col HA Packenham, who had previously served with the Grenadier Guards and the Royal Irish Rifles. He was the first CO, who had not previously been a company commander in the regiment since the Marquess of Donegal. In 1908 and as the formation of a Territorial Force (later the Territorial Army) was confirmed, requirements for service became stricter, and numbers in the London Irish fell further to 330, before rising again to 620 by 1910, and at that time was divided between 8 companies. The London Irish was transferred to the Territorial Force as 18th Battalion, County of London Regiment (London Irish Rifles), and in 1911, Battalion HQ moved to the Duke of York’s in Kings Road, Chelsea, their home for the next 90 years. At the same time, for the first time privates soldiers became riflemen. 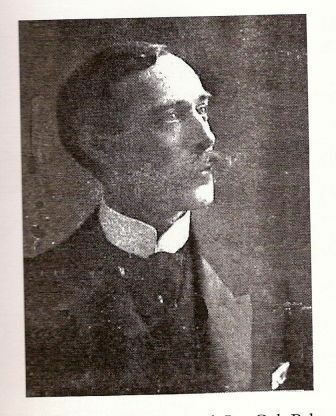 After the retirement of Lt-Col Packenham in 1913, Major EG Concannon, who had won the DSO in South Africa, became commanding officer of the Regiment. During the same year, the Old Comrades’ Association, the forerunner of the current Regimental Association, was formed and an inaugural dinner held on 22nd November.